Review of Guns N Roses Mobile Slot by NetEnt - It's Awesome! Review of Guns N Roses Mobile Slot by NetEnt – It’s Awesome! 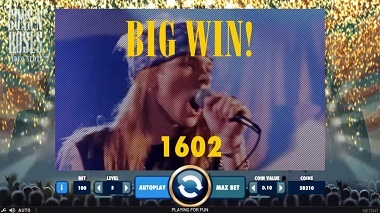 Guns N Roses is a rocking mobile slot with tonnes of potential for giant wins! The day is finally upon us – Guns N Roses mobile slot has launched today and we could hardly wait to give it a spin. It's been advertised far and wide to be one of the best slot launches for years and quite possibly the best one for this year, so we simply had to take a look. This review of Guns N Roses mobile slot by NetEnt is our brutally honest opinion – we love this mobile title with all our soul. We really think that the developers have done justice to the band, which will be getting back together for two Vegas shows this year, so it will be a great final send-off. For now, check out this slot and one of its many, many features and perhaps you'll strike gold? First off, you'd be silly not to take advantage of the many Extra Spins and other types of promotions that are being given away on Guns N Roses to honour its launch day. That's why we've compiled a master list of all the casinos that have specials going on today and for the week to come to celebrate this rock'n'roll title. All in all, the slot has met, passed and surpassed our expectations in just a couple of minutes that we first checked it out first thing this morning. We can't believe what sort of game developing pros NetEnt have hired to keep churning out massive titles year on year. Just think about it. Starburst? NetEnt. Gonzo's Quest? NetEnt. Exclusive game titles like Moonlight at Mr Green Casino? NetEnt has got you covered! What better theme could a slot have than the most epic rock'n'roll band? 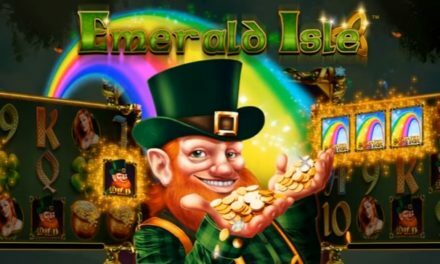 Egyptian pharaohs, Irish luck, kittens – leave all of that for amateurs and give the ultimate branded slot for NetEnt to design and craft to detailed perfection. Being handed a theme like Guns N Roses is double sided. One the one hand, the band is of epic proportions and people who liked it will automatically tune into the slot even if it's mediocre. So, the developers could have just sat back and enjoyed the easy task of not reinventing the wheel – plop in the usual features, select one track for background noise and recycle some old reel symbols. On the other hand, you need to do justice to the brand and the reputation that it has in the society. It's a powerful rock'n'roll band with a lot of history, best selling albums and songs that will remain etched in the minds of many for decades to come. In the end, NetEnt have done the slot real justice: they've gone and crafted a truly awesome slot. From the very intro of a Guns N Roses concert video, to the backdrop of a massive gig, to the crowds cheering at the bottom of the screen, the experience that Guns N Roses mobile slot provides is top-notch. Plus, you can pick what song you want to play in the background: Welcome to the Jungle, Sweet Child O'Mine, Paradise City, November Rain or Chinese Democracy. Go on, we know you've got your favourite! Yup, with a return to player of near 97%, this five reeler really does pack a punch in terms of making you money. 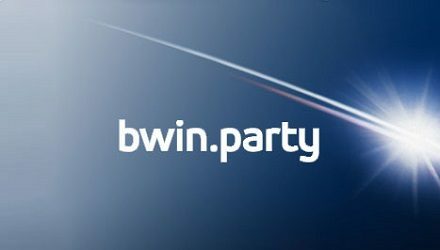 You can activate up to 20 paylines, betting anywhere from just 20p to a massive £400 to win a maximum of 75,000 coins. So, our question here is: are you ready to rock?! We can't hear you! Did you say you're ready to rock?! Alright, alright. You can stop screaming now. Although the developers have been boasting about Guns N Roses being quite a dangerous one, much like the reputation of the band riding around with dozens of groupies and doing many illegal deeds, we didn't find the game overly volatile. Actually, we'd say that with medium volatility and a nice range of bets, this slot is a great option for those who've enjoyed fruities and penny spinners, but would like to have something more substantial in their repertoire without breaking the bank completely. Smallish wins come regularly, but you've got to stick around and wait out for the multipliers and the feature wins. Game Features: So Many Of Them! NetEnt go for extremes – they either fill a slot up with features or leave it completely barren like. While a great example of a simple, yet effective slot would be Starburst, the Guns N Roses game is on the opposite side of the spectrum with many great features. Want to play Guns N Roses? Guns N Roses mobile slot is an epic journey filled with all sorts of wilds and bonus features! Guns N roses Energetic, interesting, beautiful and packed with features is what the new Guns N Roses slot by NetEnt is all about and we're sure that it can quickly become a favourite of yours. The developer appears to have pulled out all the stops when it comes to the features of this game, making it very entertaining and rather unpredictable. Branded slots are really beginning to take off recently and this certainly epitomises the genre. The sheer attention to detail in the design, for example the red roses that adorn the symbols on the reels, the graphics and the quality of the audio are top of the line. And although the return to player is near 97% and the medium volatility make this a good proposition to get your blood pumping, not to mention the rock star setting as if you're in the midst of a live Guns N Roses show back in the heyday, you probably won't become silly rich off it. Hands down, five out of five stars.